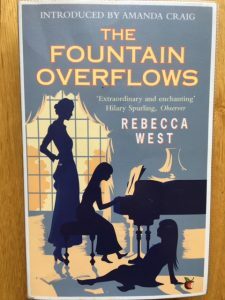 This entry was posted in English Literature and tagged Rebecca West, The Fountain Overflows, Virago Modern Classics by Simon Lavery. Bookmark the permalink. I was very taken with another of West’s novels when I read it some years ago – The Return of the Soldier. This sounds just as good, albeit somewhat different in focus, I actually have a copy tucked away somewhere – thanks for reminding me about it. I shall move on to Return of the Soldier at some point. TFO is perhaps a little longer than necessary & there are some odd quirks, but mostly it works. Great post, Simon. I have so many West books on the shelf (including this one) and I really don’t know why I haven’t read more of them. This was the first of hers I’ve read – like you, Karen, I don’t know why it’s taken so long. Thank you for a lovely reminder of a book I read a while ago. Glad you enjoyed the reminder! “… a wildly eccentric family” immediately brought to mind I Capture the Castle. 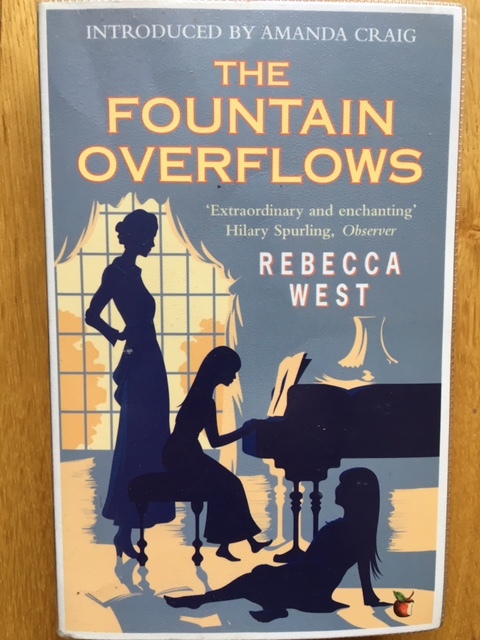 Rebecca West is an author who’s been on the fringes of my awareness for years, no doubt through the Virago connection. I’m intrigued by this one and perhaps it will be my introduction to her work. Great review! I’ll look forward to it, Simon!